An armed uprising. A conspiracy. An assassination. A hanging. These events, starting with the crushing of Jacobite rebels at Culloden in 1746 and culminating six years later in the so-called Appin Murder, provided Robert Louis Stevenson with the plot of his enduringly popular novel Kidnapped. But truth can be every bit as dramatic as fiction. 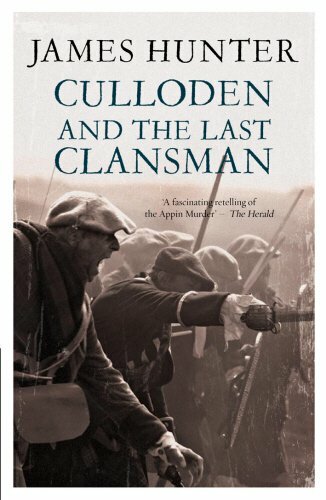 And never more so than in this account of what lay behind the killing of government officer Colin Campbell by a hidden gunman on a May afternoon in 1752.Campbell was on his way to evict rebels from the Ardshiel estate near Appin, and Britain's rulers saw in his murder a terrorist act committed by Jacobite survivors of Culloden. When the alleged killer evaded a Scotland-wide manhunt and escaped abroad, politicians insisted someone had to pay for Campbell's death.The sacrificial lamb was James Stewart, a Culloden veteran who had been organising resistance to Campbell's evictions. James was found guilty in the show trial that followed and was hanged.